But the original safety analysis that Boeing delivered to the FAA for a new flight control system on the MAX -- a report used to certify the plane as safe to fly -- had several crucial flaws. * Understated the power of the new flight control system, which was designed to swivel the horizontal tail to push the nose of the plane down to avert a stall. When the planes later entered service, MCAS was capable of moving the tail more than four times farther than was stated in the initial safety analysis document. * Failed to account for how the system could reset itself each time a pilot responded, thereby missing the potential impact of the system repeatedly pushing the airplane's nose downward. * Assessed a failure of the system as one level below "catastrophic." But even that "hazardous" danger level should have precluded activation of the system based on input from a single sensor -- and yet that's how it was designed. Yet black box data retrieved after the Lion Air crash indicates that a single faulty sensor -- a vane on the outside of the fuselage that measures the plane's "angle of attack," the angle between the airflow and the wing -- triggered MCAS multiple times during the deadly flight, initiating a tug of war as the system repeatedly pushed the nose of the plane down and the pilots wrestled with the controls to pull it back up, before the final crash. Investigators also found the Ethiopian plane's jackscrew, a part that moves the horizontal tail of the aircraft, and it indicated that the jet's horizontal tail was in an unusual position -- with MCAS as one possible reason for that. The original Boeing document provided to the FAA included a description specifying a limit to how much the system could move the horizontal tail -- a limit of 0.6 degrees, out of a physical maximum of just less than 5 degrees of nose-down movement. 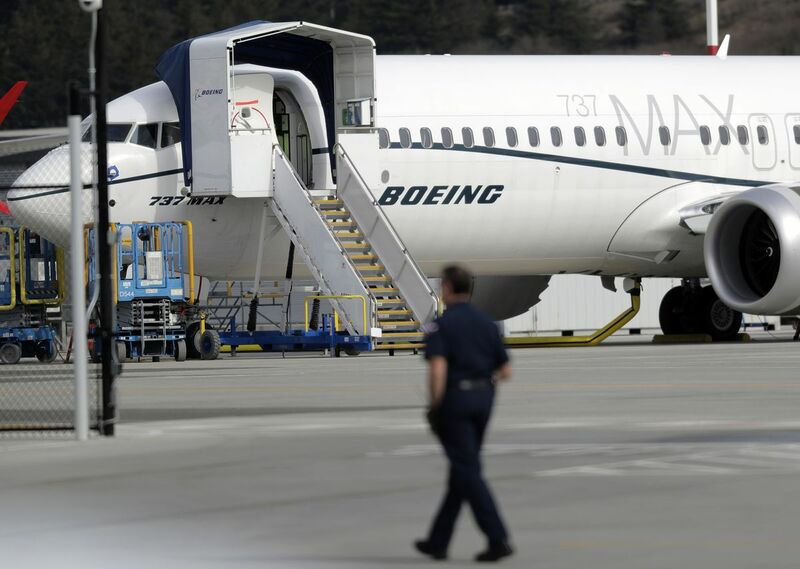 Since MCAS was supposed to activate only in extreme circumstances far outside the normal flight envelope, Boeing decided that 737 pilots needed no extra training on the system -- and indeed that they didn't even need to know about it. It was not mentioned in their flight manuals.